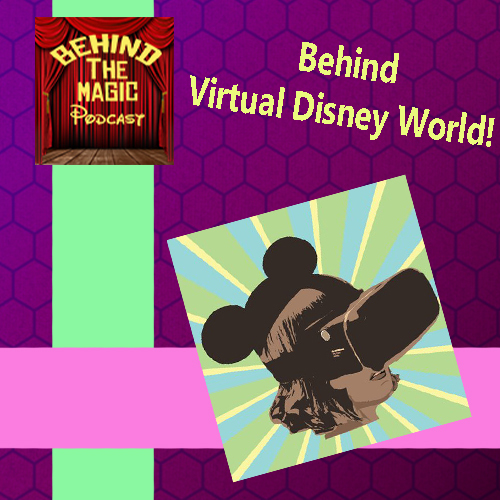 Behind The Magic Podcast is a 10-15 minute daily Disney talk show that focuses on all things Walt Disney World, Disneyland , and Disney entertainment related. Come join in the magic! Zeek talks with Gary Hall, Host of WDW Kingdomcast and creator of the Youtube channel Virtual Disney World, Giving you a virtual experience of Walt Disney World attractions, shows, hotels, monorails, trains, boats, park areas, and more within an interactive 360º video environment!! Wanna help out the show? There are tons of new ways! Or a 30 Day Free AudioBook Trial with Audible!